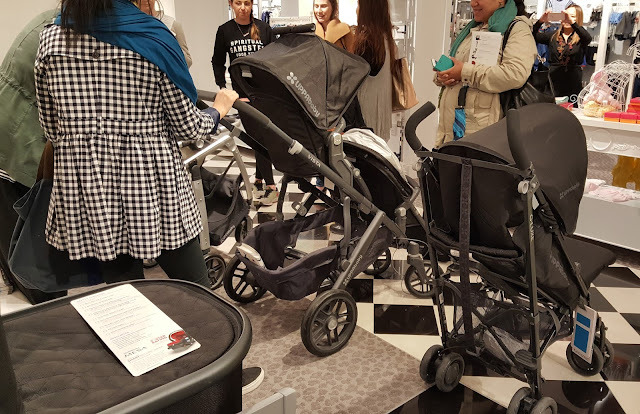 Today I was able to attend an UPPAbaby event at Bloomingdales and let me tell you that I am happy to have been able to go. It was pouring today in NYC and I had Valentina with me, it's not always the smartest choice to take her with me. She is after all a two year old with a limited attention span, especially if it doesn't involve toys or cartoons, but I hoped in a cab and headed to midtown Manhattan. We arrived early and were able to look at the strollers before the UPPAbaby experts arrived, before they arrived I was already hooked. 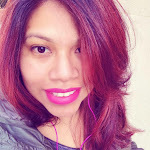 And if you guys remember reading my experience with my umbrella stroller (story here) then you know that I am on the hunt for a new, sturdy one. UPPAbaby strollers are great for any age, they have a great variety that is perfect for newborns and up. I found the price to be on point, no need to spend hundreds. 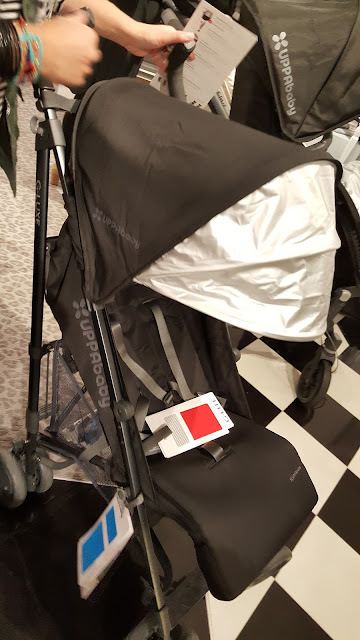 Let me warn you that this post will mainly focus on my dream umbrella stroller, it was definitely love at first sight. Meet the UPPAbaby G Luxe, new to me. First of all I can fold it down easily with both hands, and has a little carry strap for easy carrying. This city momma needs that, especially for going down 4 flights of stairs everyday and for taking the train. The cushion is amazing, so soft. 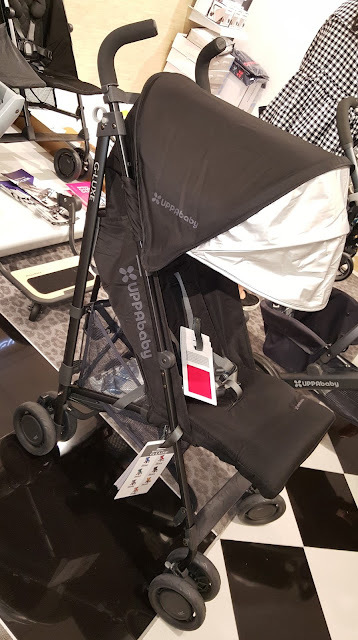 Seriously the first stroller that I touch with such amazing cushion and the material feels so cool to the touch, which makes it perfect for these upcoming Summer days, what's also helpful is the big canopy. It's perfect for protecting your child from the sun. Loved how big it is, and don't even get me started with the basket. It is big and spacious. 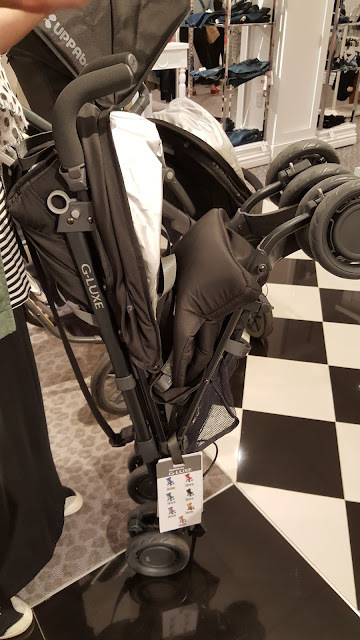 I don't even own this stroller and I'm swearing by it. Oh, and the colors! It is available in so many beautiful colors!! The price range is also perfect, I believe in investing in a good stroller, it was what your child will be sitting on daily. In my case it is, I am always on the move and Valentina will sometimes spend hours in her stroller, I want to make sure that she is comfortable in it. and try them out for yourself. We are planning on baby #3 and this is definitely looking like our go to stroller. I'm also thinking that this needs to be Valentinas new umbrella stroller. P.S. 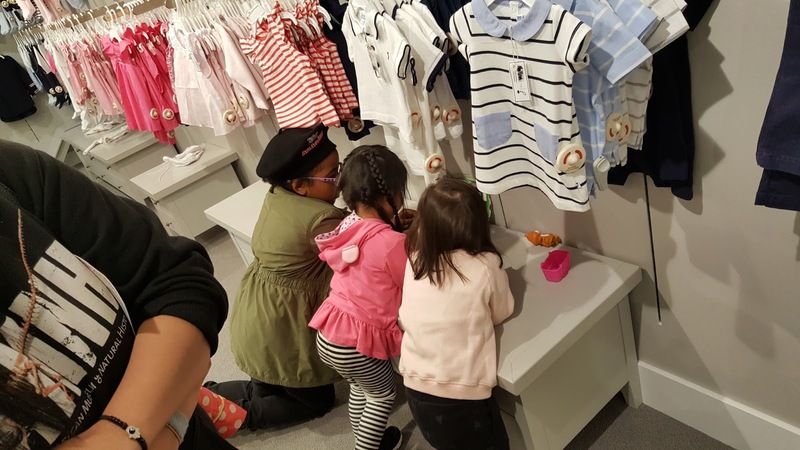 Happy to report that Valentina had a blast with her new blogger friend and cousin who also attended the event. Disclosure: I was invited to the UPPAbaby event and was not compensated. All words expressed are 100% my own.